The iCare AIO Kit from Eleaf is a typical all-in-one kit, which comes with 2ml tank and 650mAh built-in battery. BuyBest is presenting you 5 attractive colors now. The iCare AIO Kit from Eleaf is a typical all-in-one kit, which comes with 2ml tank and 650mAh built-in battery. Different from the iCare, the iCard Kit has 4-color (Green, Orange, Blue, Red) changeable LED light to indicate the power condition, which will help you to check on the battery status easily. 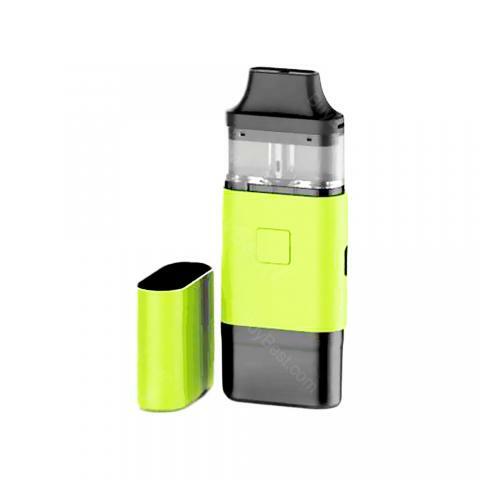 • The iCard Kit doesn't come with e-juice which you need to buy separately. • 3 months warranty for the iCard kit. 本日はBuyBestさんの提供でEleaf iCardをレビューします。名前が似ていて紛らわしいのですが過去に似たような製品コンセプトのiCare 2をレビューしていますがバッテリーやタンク容量は同じです。発売は確か昨年春頃だったと思いますが幾つか改良されている部分が見られたのでiCare 2を常用している私としては以前からちょっと欲しいなと思っていたのですが運良く今回提供して頂きました。See more Eleaf iCard AIO Starter Kit review. One of the best pod systems I have. The coils don’t gurgle unless it’s been in your pocket for a long period but it’s minimal. Love that the cap can be put on the bottom of the device. Decent flavor and cloud production for a pod system.